The countless events happening in the month of February will make the month seem a lot longer than it actually is. 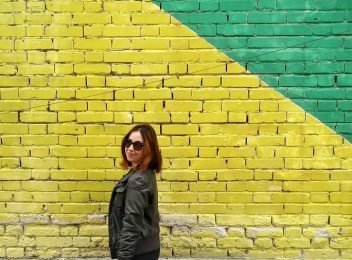 Below, find our top selections of where to go and what to do to have a good time this month! 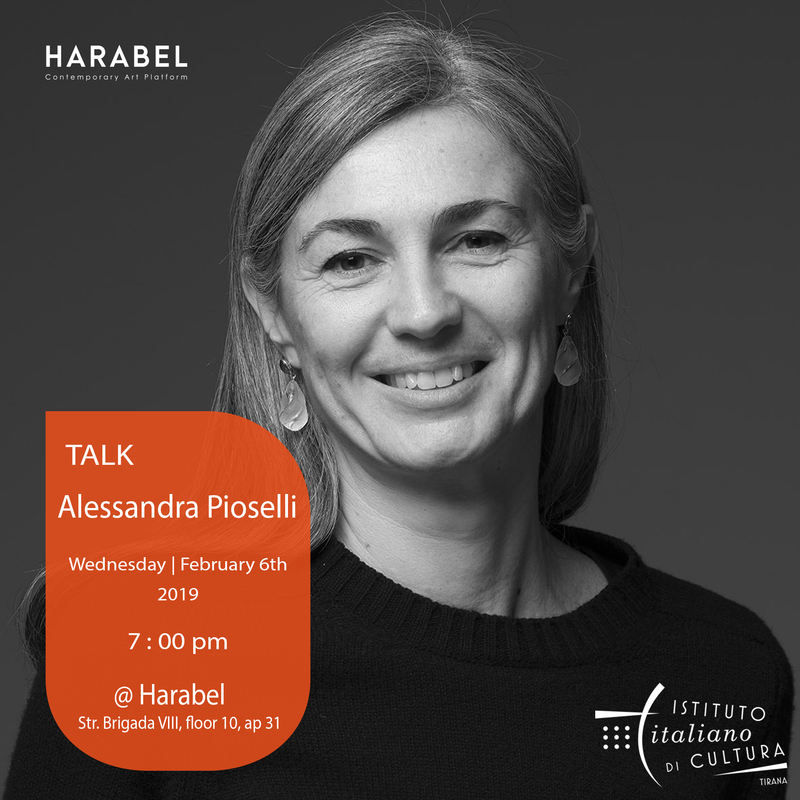 Alessandra Pioselli, the Director of the Academy of Fine Arts G. Carrara of Bergamo, will hold a talk on the role of the arts on urban space, entitled “Art in Urban Space: The Italian Experience from 1968 Until Today.” The event is organized by Harabel Contemporary Art Platform, in cooperation with the Italian Institute of Culture, and begins at 7 PM at Harabel, 8th Brigade St. (Rruga Brigada e VIII), Floor I 10, Ap. 31. Official poster of the event. 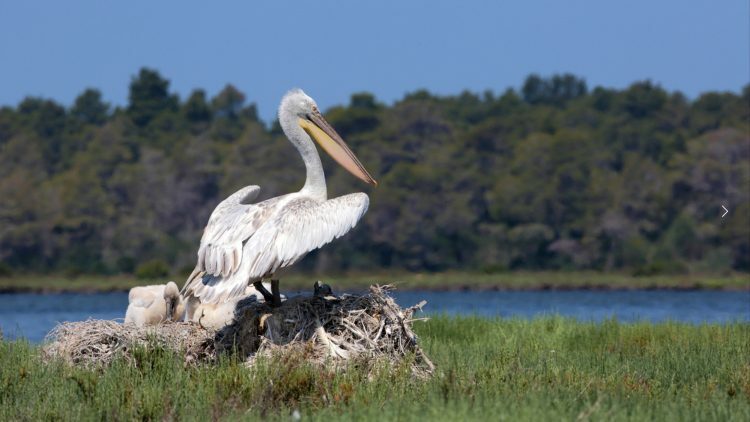 If you like birdwatching or would just love to get a glimpse of the rare Dalmatian pelican and the various migrating birds that populate the famous Divjakë-Karavasta Lagoon, this is a fabulous opportunity to do so. The bus for this organized field trip departs on February 10th at 8 AM from Librazhd with the arrival time in Divjakë at 10AM. Departure time for the return trip is at 4 PM. For more information, call +355696223130 or click here. The roundtrip fee per person is 600 ALL. 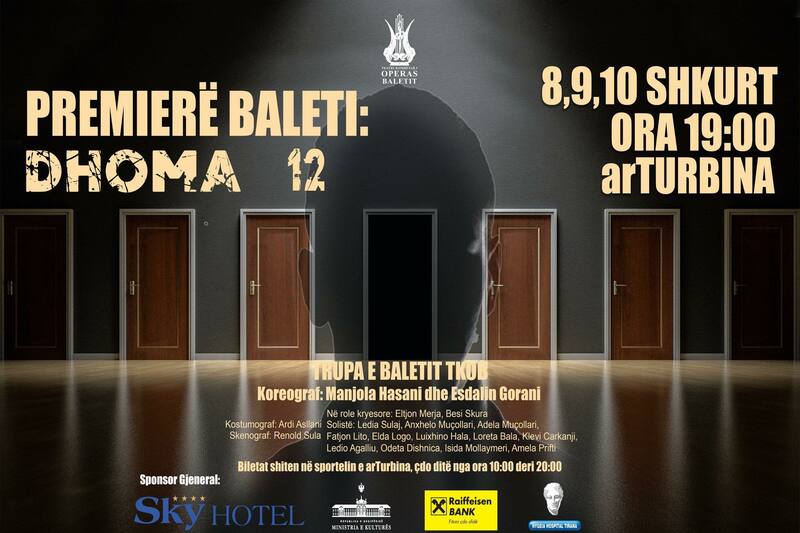 Choreographed by Manjola Hasani and Esdalin Gorani, the contemporary ballet entitled “Room 12” (“Dhoma 12”) officially opens the performance season of the National Theatre of Opera and Ballet of Albania. Performances will be held during the three consecutive evenings of February 8th, 9th, and 10th at 7 PM. The ticket costs 1000 ALL. To reserve your seat(s), call +355632 7313 between 10 AM and 8 PM. This event will bring together some of the most well-known folk singers and dancers of the country. Entitled “Uphold traditions, celebrate Albanian” (“Ruaj traditën, festo shqip”), this event aims to encourage the preservation of Albanian folk tradition through an entertaining and memorable show. The concert takes place at the Academy of Arts, in the large theater hall, at 6 PM. Folk music adapted to contemporary sounds, only at the “Andon Zako Çajupi” Theater in Korça! The well-known musician Redi Hasa will light up the night through a collaboration with Rachel Andrioli (vocals), and rocco Nigro (percussion). Catch this one-of-a-kind spectacle, starting at 7 PM. The show goes on until 8:30 PM. 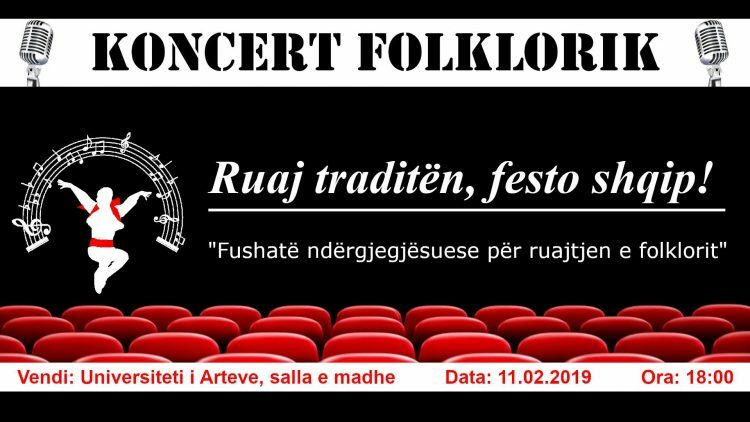 Valbona Mema, Era Rusi, and other important guests will be part of the annual event of traditional folk music from Tirana, that will be held on February 11th. Similar to previous years, all folk music and culture lovers will have a great time celebrating. The concert starts at 18:00. 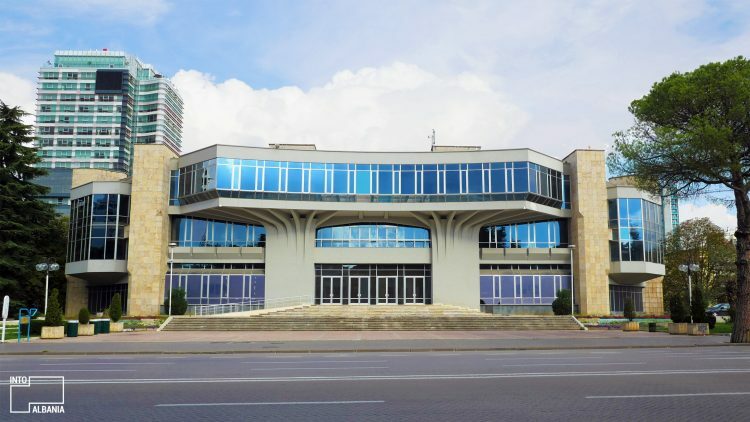 Palace of Congresses, photo by IntoAlbania. Are you ready to cheer on the best players of the 2nd Championship of Amateur Mini-Football? The winning teams will go on to play on the EMF Champions League in Slovenia on September of 2019. The best players will be evaluated and the future ones will be selected for the team of 2020’s championship. Logoja e eventit. Burimi: albaniansport.net. 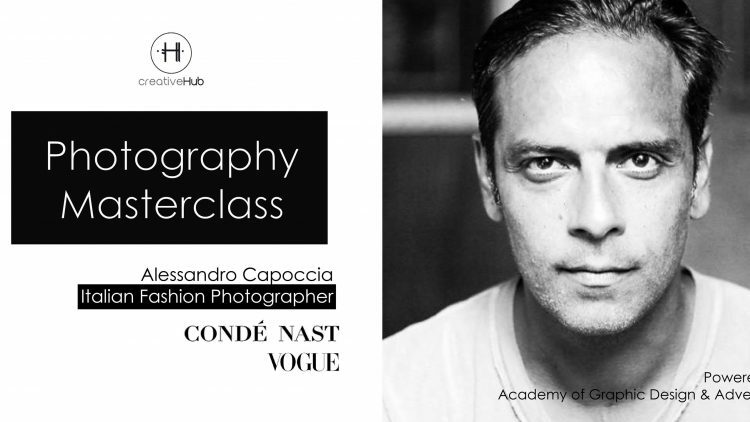 Italian photographer Alessandro Capoccia, with an extensive professional experience photographing for the likes of Vogue, Harper’s Bazaar, Condé Nast, and more, will share his expertise with all those interested in learning about the art of photography. The masterclass begins at 10 AM on February 17th at Roger Hotel. You can purchase tickets here. For more information, e-mail contact@creativehub.al. 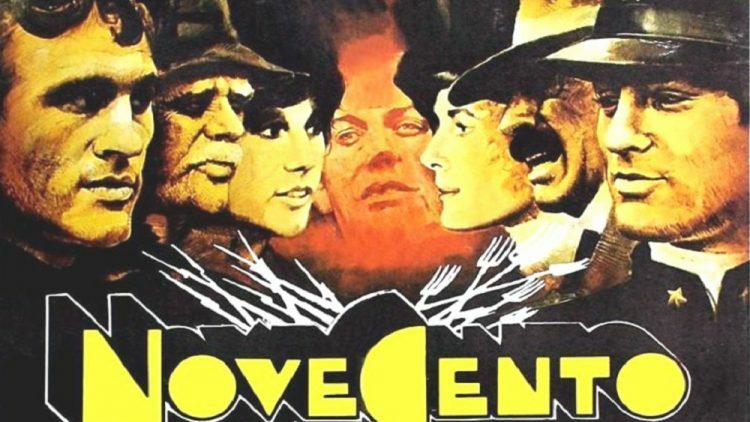 These two nights will see the screening of one of the most significant films in the history of Italian cinematography, Novecento by Bernardo Bertolucci. On both nights, the screening of the film featuring Robert de Niro and Gerard Depardieu, will begin at 6:30 PM. Other films you can watch at the Institute of Italian Culture in Tirana are Tutta colpa di Freud (“All Freud’s Fault”) by Paolo Genovese, on February 13th, or Attesa e Cambiamenti (“Waiting and Changes”) by Sergio Colabona. The films are all in Italian and entrance is free of charge. To keep updated on the Institute’s many fun events, check out their Facebook page. This is the 2nd edition of the International Forum of Architecture and Engineering. 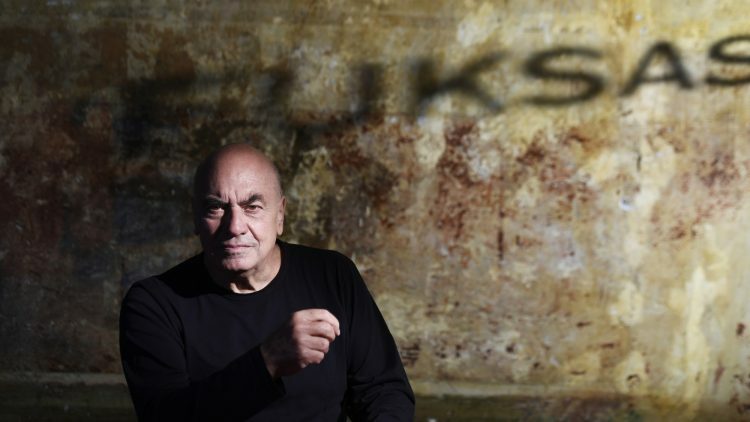 The most important event of this kind in the country, this year welcomes the internationally renowned architect Massimiliano Fuksas. 25 more impressive local and international speakers will comprise the panels which will discuss new developments in the spheres of architecture, design, engineering and more. An approximate total of 350 participants is expected to join this event! 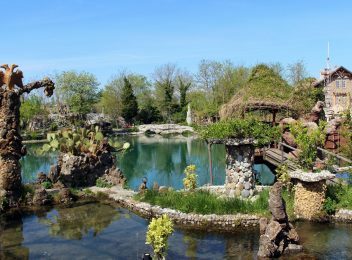 The regular participation fee is 49 Euros, while for students, the fee is 15 Euros. 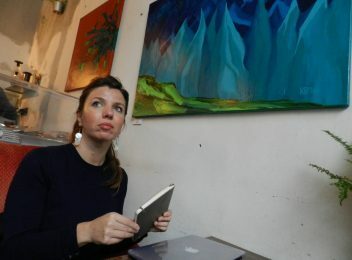 A business ticket costs 499 Euros. For more, click here. Photo credits: Gianmarco Chieregato, share-architects.com.